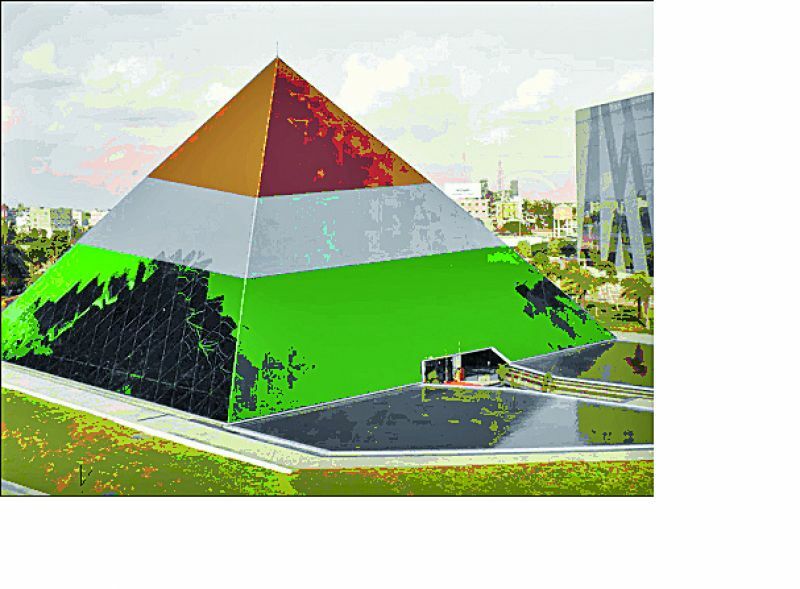 HomeEnergy GenerationHighTechLifestyleRenewable energySolar energyIIT-Bombay Researchers Invented a SMART - Colored Nanophotonic Coating for Solar Cells! IIT-Bombay Researchers Invented a SMART - Colored Nanophotonic Coating for Solar Cells! Solar cells usually have a dark color as they are designed to reflect as few lights as possible. This way the solar cell will produce maximum power output. Monocrystalline solar cells are typically blue, black or gray, while polycrystalline solar cells are usually blue or dark blue. The color of the solar cells can be changed by varying the thickness of the antireflection coating and it gives a special look to the solar installation that could be used in building façades for a better look. One probable issue of the colored solar cell is decreased efficiency level compared to traditional solar cells due to varying thickness of the anti-reflection layer. 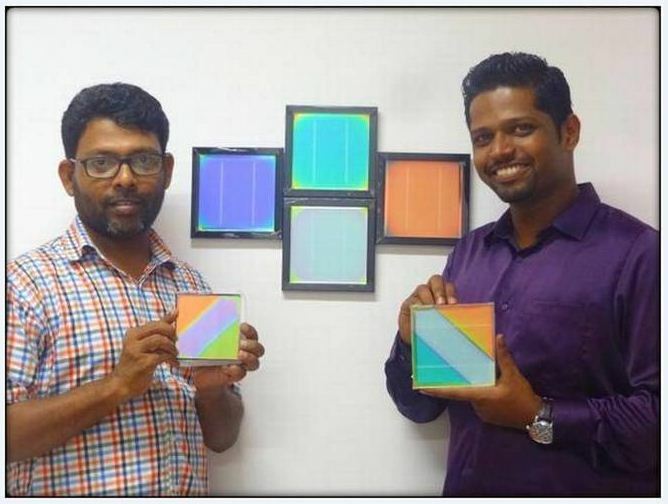 Now IIT Bombay inventors, Professor Dr. Aldrin Antony and Ph.D. student Anishkumar Soman of Energy Science Department of the institute have come up with next generation colored solar cells invention for changing the urban landscaping. Their invention, a nanophotonic coating also known as ‘Selectively Modulated Aesthetic Reflector Technology’ (SMART) can be integrated into buildings in window glass, facades, even roof shingles, that could revolutionize the architectural design of the structures. “At present, more than 90 per cent of the solar market consists of silicon solar cells, which are used as roof top or stand-alone systems. Though there are new technologies like perovskite cells, which are capable of giving color, they suffer from stability issues due to which they are not yet commercialized,” Dr. Aldrin explains. According to IIT Bombay, like traditional colors mixing or lights to arrive at different other colors, the researchers have succeeded in mixing nanophotonic coatings to generate different colored solar modules. The SMART coating reflects only a selected wavelength of light, which gives it a colored effect while allowing the cell below to work with 60% to 80% efficiency. It can also be used on vertical areas of buildings, increasing the options for designers to integrate them into their projects. The researchers have applied for an Indian patent in 2015 and a PCT in 2017. They aim to make it more affordable and able to gain mass use as presently this coating is quite expensive beyond the reach of the middle class of society. The institute is also in talks with the ministry of new and renewable energy (MNRE) for financial support.